Stephanie Miller is a woman with many talents and impressive experiences. She is not only intelligent and sharp, but she also maintains an air of comedy and lightheartedness in all situations, no matter how bleak they may be. However, that is not to say she is not hard-hitting, strong, and decided in her opinions, because she absolutely is. In simple terms, she is a force of comedy, of commentary, of entertainment. 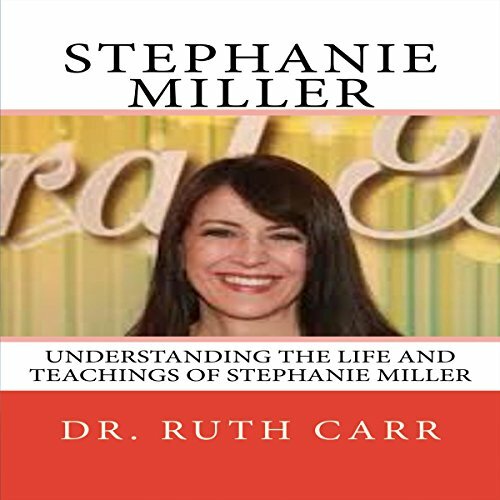 A political commentator, writer, comedian, and host for many years on her own show, The Stephanie Miller Show, Miller is an open, informed, dignified, and (at times) an intimidating voice that absolutely demands our attention. It is safe to say that there is nobody quite like the incomparable Stephanie Miller. She has dabbled in many areas of entertainment, from radio to television to comedy, never tiring or giving up on her passions. It is obvious that Miller possesses raw and noticeable talent in many arenas and has never committed herself to just one monotonous line of work. She is a creative woman with many different callings that she explores fiercely and bravely every single day. Because of this, she will certainly keep surprising us and entertaining us for years to come (luckily for us). Here is a preview of what you'll learn when you download your copy today.